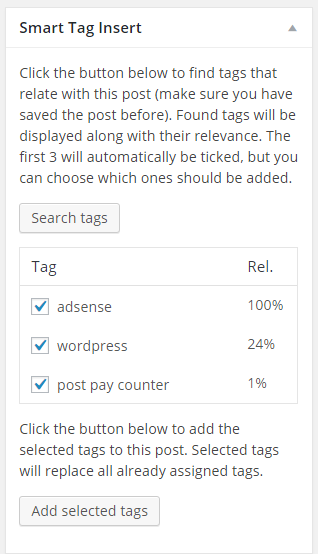 Automatically adds most relevant tags to posts selecting them from an admin-defined list. 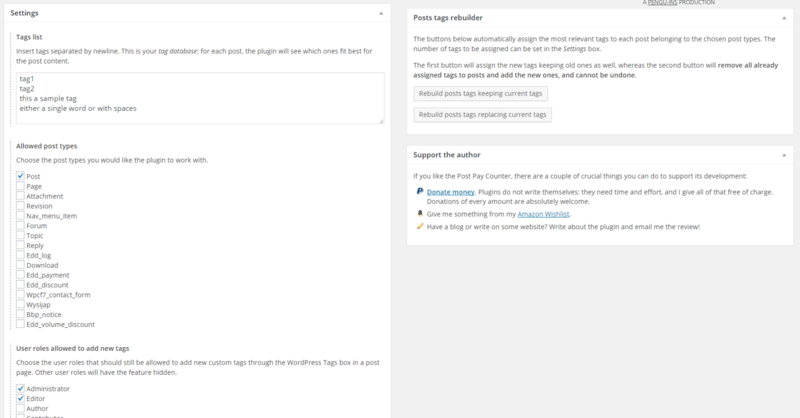 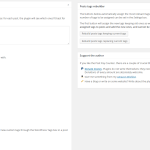 Once you have defined a list of tags, this plugin will add a box in the post editing page through which look for relevant tags basing on the post content. 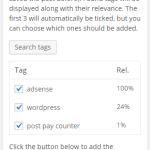 The most relevant will automatically be selected (although the selection can be changed), and selected tags can be added to the post with a click.